Lately Mushu has been even pickier than usual about the treat she will eat. Some of her usual favorites are now going uneaten. 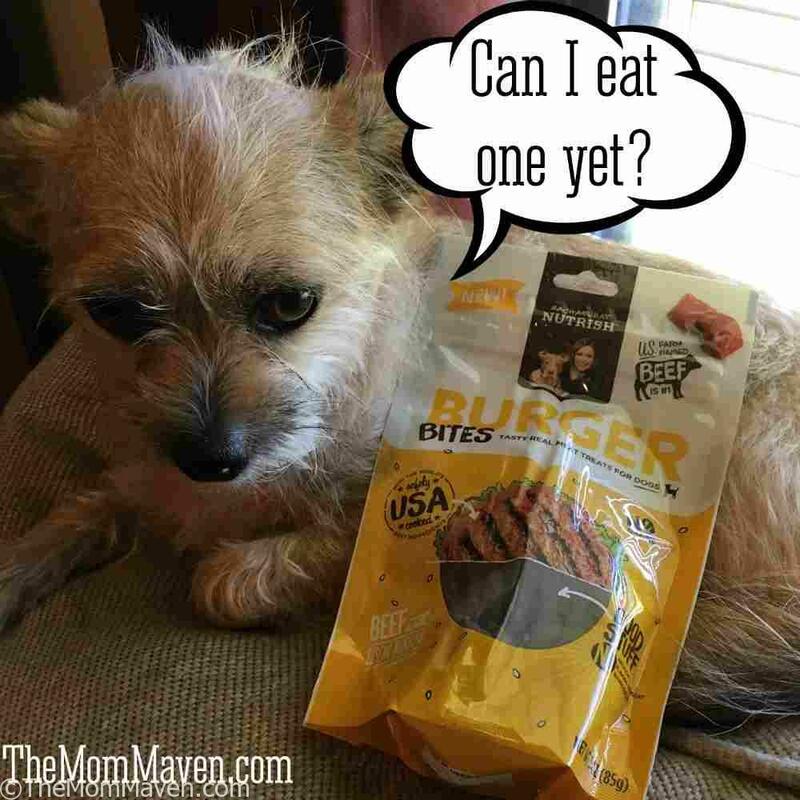 She has loved everything I have ever given her from the Rachel Ray Nutrish line so I was excited to have her try the new Burger Bites. As you know, we have Mushu on a grain free diet due to some allergy symptoms that crop up whenever she has grain. 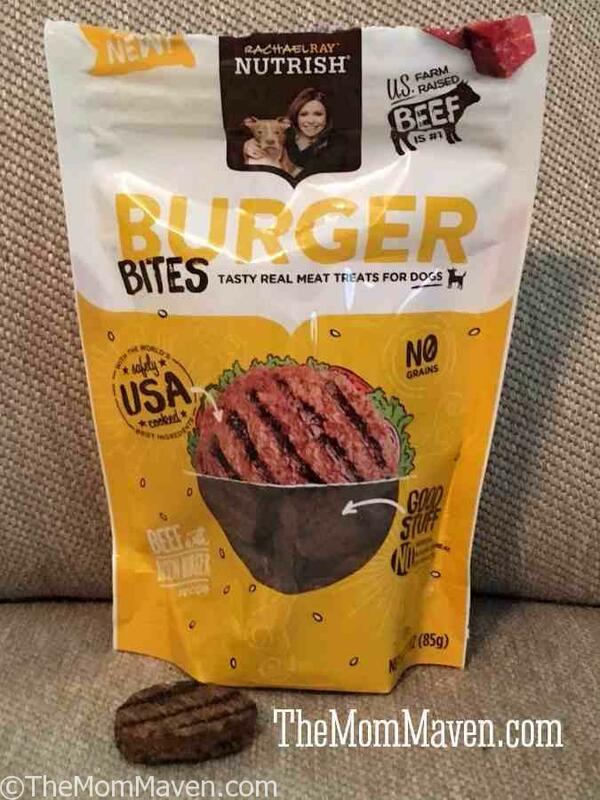 Your dog will be begging to sink his teeth into the Rachael Ray Nutrish Burger Bites with Bison Recipe Dog Treats. Made with real, farm-raised beef as the number one ingredient, this savory and smoky snack tastes like it came fresh from the grill, and it also includes wholesome chickpeas, potatoes and a hint of rosemary. And since it’s free of grains, artificial flavors, and meat by-products, you can feel confident that your pup is getting all the yum without any of the stuff you don’t want him to eat. And it’s all safely cooked right here in the USA! The #1 ingredient is US farm raised beef! These treat are also affordable. Mushu gets hers from Chewy.com and the small bag (3 oz) is $2.96 and the large (12 oz) is $9.86. If you set up auto-ship you can save even more! When I brought out the Rachel Ray Nutrish Grain Free Burger Bites, Mushu was immediately interested. I opened the package and pulled out a burger, she gave it a quick sniff and bit right into it. She is a small dog so she broke it into a few pieces so that she could easily eat it all. She gobbled the burger up and begged for more. This is one treat we will be buying more of for our picky little pup.